Billy Fury - The Story. Oh Boy. Oh Boy! 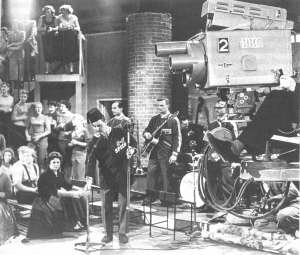 ran on British television from June 1958 until May, 1959. Billy made his first appearance on 14th February and had a total of six bookings. Vince Eager, a good friend of Billy's in those days, also recalls the less celebrated Drumbeat shows. Oh Boy! established Billy Fury. His début single, Maybe Tomorrow, raised the stakes among the Brit rock boys. He was the only English solo star who was comfortable sharing a stage with Eddie Cochrane. - Andrew Loog Oldham (Rolling Stones manager). The LP was recorded on October 19, 1958, before an invited audience, on the day after the eighth show. As in the show, the performers race from one item to the next, without any real break in the music. Cliff Richard and Peter Elliott had prior bookings, so their songs were recorded later and cut in. Red Price The New Musical Express reported of Cliff's first appearance: "Jack Good must be held responsible for permitting the most crude exhibitionism ever seen on British television by Cliff Richard...His violent hip swinging during an obvious attempt to copy Elvis Presley was revolting - hardly the kind of performance any parent could wish their children to witness." "There were 26 Drumbeat shows on BBC TV. Billy did two of the early shows but then the producer, Stewart Morris, took Billy to task over Billy's struggle with the lyrics of a song he was performing. "Billy had been misinformed by the Parnes office as to what song he was performing and Billy had learned the wrong lyrics. "Stewart Morris also had problems with Parnes and didn't like using his artistes. "I was lucky as I had signed two contracts of three months each. "Stewart Morris also knew I didn't get on with Parnes. "There was a silver lining to the story for Billy however as it made him available for more of the later Oh Boy! shows. "Harry and I were having a few beers with Oh Boy! 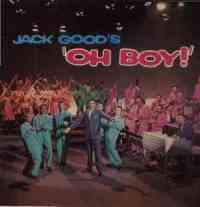 producer Jack Good and Jack commented that he wished he could have done more work with Billy as he could have made him a much bigger name. "The original Drumbeat compere was a DJ named Gus Goodwin who was from Radio Luxembourg. "He didn't work out and after six weeks Trevor Peacock, he of the Vicar of Dibley character "no, no, no, no, no, yes!" took over and stayed for the remaining 20 weeks." Harry adds: And Trevor Peacock was the voice on Hot Hiss Of Steam, the B-side of Jack Good's single You Don't Know What You've Got (attributed to the Big Jim Sullivan Combo). It all comes around!